Saving for retirement is essential. The concept of retiring on the checks you get from social security has vanished in the 21st century. You have to go out of your way to gather the funds necessary to sustain a long and enjoyable retirement. Generation X is the most vulnerable group. In the financial crisis a study revealed that they lost nearly half of their total wealth. But it’s never too early to save for a long and happy retirement, and it’s certainly never too late. This guide is going to show you the essentials you need to know about retirement saving. Don’t be blind to your financial situation. Be proactive and take notice of what your various retirement funds are going to actually give you during your twilight years. Look into your employer-sponsored retirement program and see whether it’s sufficient enough to cover your needs. There are so many people that have yet to even think about retirement. The later you start saving for it the less you can expect to get. This can have the consequences of forcing you to continue working throughout your retirement simply to survive. You can never save too much for retirement, so get started now. It’s never nice to think about your final years, and it’s certainly never nice to think about your final years if you are unsure as to whether you can afford to survive. But this is a problem that will only become more urgent the older you get. Don’t enter a cycle of denial where you prioritize current financial issues over your retirement. Starting today is always better than starting tomorrow. If you are starting your retirement fund later in life, you may have to consider making sacrifices. In other words, you are going to have to sacrifice some of your current quality of life in order to get the income you need when you decide to leave work. Make some conscious trade-offs to increase saving and reduce spending. One good move is to increase contributions to your work-based retirement fund. Each time you receive a raise, you should make it your priority to increase the amount of money you are saving. A simple change in your state of mind can have a big impact going forward. If you have already reached middle age, you are about to enter your peak earning years. Many people are scared to face the financial realities of retirement. They are terrified of discovering they don’t have enough to retire at the age they wanted. But it’s vital that you know you are following a clear path. You should have an intimate knowledge of interest rates and inflation, for a start. It may be worth contacting a financial advisor to find out about what other retirement options are open to you. You may discover that there are better choices available. 5. Consistency is the Key. Be consistent with your savings. Make sure that you are constantly contributing to your retirement fund. The key to building up a healthy amount of money is to be automatic. Make sure that you are constantly making payments and you will be amazed at how quickly it can all add up. Setup a regular payment agreement with your bank so you don’t even need to think about making contributions. Saving for retirement is best done as early as absolutely possible. Failing to do this will leave you in the difficult position of not having enough money to meet your basic needs. Begin saving and commit to regular payments and don’t compromise on your retirement for anything or anyone. Original article source courtesy of AJ Agrawal of the Huffington Post. You may not realize it, but the actions you take now can greatly impact your sense of financial security down the road. Many Americans inadvertently minimize their future net worth by focusing only on the short-term. It can be great to live in the moment, but in some situations it’s a good idea to take a step back to evaluate the long-term impact of your financial decisions. Purchasing a home is probably the biggest investment you’ll ever make, but if you choose a property wisely, it’s definitely worth it. Sure, you’ll need to come up with an initial down payment and you’re responsible for all upkeep and repairs, but in most cases these costs pay themselves back. When you own the property, you build equity in an investment that will likely increase in value over time. Rather than making monthly rent payments to someone else, your mortgage payments are essentially an investment in your future. Homeowners enjoy the stability of knowing their monthly housing expenses are for the long term, whereas renters never know when their monthly rent will increase. Additionally, interest and property tax paid by homeowners is tax deductible, often offering the chance for an annual break from Uncle Sam. When you’re young, saddled with student loans and barely making enough money to pay the rent, it’s easy to put off saving for retirement because it’s still 40 years away. However, waiting until you’re older to start saving can have a significantly negative impact your financial stability in your golden years. The earlier you start saving, the more money you’ll earn in interest. For example, if you opened a 401(k) account in your mid-20s, saved a total of $30,000 and realized an 8 percent rate of return, you would have approximately $280,000 by age 65. However, if you save the same amount, realizing the same rate of return, but wait until your mid-40s to start the process, you’ll have only about $60,000 at age 65. Many companies also have a 401(k) match program, where they’ll match your contribution to a certain percentage or dollar amount, so you’re essentially turning away free money by not taking full advantage of this opportunity. Traditional 401(k) and IRA plans allow you to make tax-free contributions into your retirement account, with the deductions made in retirement when you withdraw funds. However, it might be smarter to open a Roth 401(k) or IRA, where taxes are deducted upfront, allowing you the benefit of making tax-free withdrawals in retirement. This could be a savvy move, as there’s a very good chance you’ll be in a higher income tax bracket when you retire than you were when you opened your retirement account. At first glance, leasing a vehicle can seem like an attractive option — less money down, lower monthly payments and the ability to drive a higher-priced car than you could afford to finance. However, leasing won’t add any gains to your future net worth. The monthly payments you make are essentially rent to the dealership, as you don’t get to keep the vehicle at the end of the lease. Rather than paying off the car and driving it for a few years payment-free, you’re forced to return it and immediately start making payments on another model — and continue the cycle every few years when your lease is up. Additionally, you’re limited to the number of miles you can put on a leased vehicle, you have to pay extra for excess wear-and-tear charges and you’ll pay sky-high early termination fees if you need to break the lease early. In the market for a vehicle? At First Financial, our auto loan rates are the same whether you buy new or used. ** Apply online 24/7! Everyone wants things they can’t afford, but offers for zero or low-interest credit cards can make it very difficult to avoid temptation. It might seem harmless to book a vacation or purchase a new furniture set using a credit card with little-to-no introductory financing, but what if you can’t pay the balance off before the promotional period ends? It’s not uncommon for these promotional interest rates to rise from zero to 18 or 20 percent, which can seriously increase the initial price of your expenditures and leave you with a mountain of debt that can take years to pay off. Making savvy financial choices now can help ensure you’re able to enjoy stability later in life. Sometimes it’s worth making initial sacrifices now to allow yourself to ultimately come out ahead. Always consider what the impact of the choices you make now will have on your long-term happiness before jumping head first into a decision you’ll grow to regret. *Subject to credit approval. Credit worthiness determines your APR. Your actual APR may vary based on your state of residence, approved loan amount, applicable discounts and your credit history. A First Financial membership is required to obtain a mortgage and is open to anyone who lives, works, worships, or attends school in Monmouth or Ocean Counties. See Credit Union for details. **A First Financial membership is required to obtain a First Financial auto loan and is available to anyone who lives, works, worships or attends school in Monmouth or Ocean Counties. Subject to credit approval. Could Your Next Stockbroker Be a Credit Union? Can a not-for-profit credit union, like First Financial, give you the same level of service as a for-profit commercial bank? On many fronts, the answer is a resounding yes! Good rates on loans: As a general rule, credit unions are run for the benefit of their members rather than for the benefit of owner-shareholders. As a result, they’re often able to offer low interest rates on credit cards and other loans that few of their for-profit banking peers are able to match. Competitive dividend rates on deposits: Credit unions are often able to easily trump the national average of 0.1% dividends paid on savings and money market accounts. Lower fees: The majority of America’s credit unions have maintained the benefit of “free checking,” when very few of America’s big commercial banks still offer the service. But for investors, there’s still one big hole in the credit union story: stock trading. In the competitive, complex world of banking services, it’s a reasonable question: Do credit unions offer online brokerage accounts? Is there a credit union out there where you can open a checking account, sign up for a credit card, take out a car loan, and trade stocks, all in one shop? As it turns out, there is. Or rather, there are. Quite a few of them, including First Financial. According to Bankrate.com, there were 7,351 credit unions operating in the United States at the end of 2011, handling nearly $1 trillion in assets and serving 93.9 million customers. Now granted, not all of these credit unions offer brokerage services. That’s not surprising. After all, not all banks offer online stock trading. What’s actually more surprising is that quite a few credit unions do offer brokerage services, usually by teaming up with outside brokers. An article in the industry publication Credit Union Times, for example, described how INVEST Financial — a subsidiary of Britain’s Prudential (PUK) — teamed up with nine separate credit unions, to offer their members brokerage services. Now admittedly, most of these brokers aren’t exactly household names. If you’re looking for a credit union that’s partnered up with a Charles Schwab (SCHW) or E*TRADE Financial (ETFC), you may be in for a long search. As the first couple of letters of these brokers’ names — “CUSO” and “CUNA” — suggest, at least some set up shop with the specific intent of targeting the specific market niche of Credit Union members. That said, the brokers listed don’t look to be fly-by-night shops. San Diego-based CUSO Financial Services, for example, has been in business since 1996. CUNA Brokerage is a division of Madison, Wisconsin-based CMFG Life Insurance. Here at First Financial, our Investment and Retirement Center partners with CUNA Mutual Group to provide our members with investment, insurance and brokerage services. So if you’re dead-set against big banks but don’t want to give up on the idea of managing your own retirement portfolio — you may not have to. There are options out there for people who’d like to switch to a credit union but who also want to keep trading stocks, mutual funds, and ETFs. First Financial can do that for you! If you would like to set up a no-cost consultation with the Investment & Retirement Center located at First Financial Federal Credit Union to discuss your brokerage, investments, and/or savings goals, contact us at 732.312.1500. Knowing these 10 IRA tax tips can help you when saving for retirement. When preparing taxes and setting up retirement accounts, it’s important to know how your IRA or individual retirement arrangement affects your tax return. Being knowledgeable will allow you to make smart decisions when contributing to an IRA and how to handle the account in the future until you request disbursement at retirement. Money contributed to a traditional IRA is not taxed until disbursement. Not including Roth IRAs, the person who owns a traditional IRA is not taxed until they request money from the IRA during retirement. Usually, the person’s tax bracket is lower during retirement, saving the person money by waiting to pay taxes until they are retired. IRAs can only be owned by one person. When the person owning the IRA dies, a beneficiary can be awarded any portion of the monies in an IRA that remains. Use the correct form. When making nondeductible contributions to a traditional IRA, the taxpayer has to use Form 8606, Nondeductible IRA’s. Know if you are eligible for a tax credit. Use form 8880, Credit for Qualified Retirement Savings Contributions to find out whether you qualify for a tax credit. 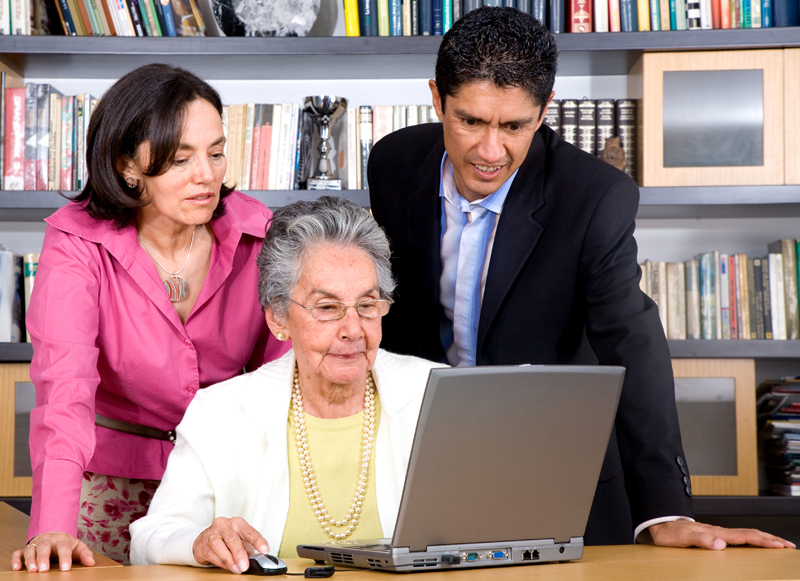 Persons can contribute to a traditional IRA up to the age of 70 years old. If you are 70 1/2 years or more old at the end of a tax year, you may not contribute to a traditional IRA that year. To be eligible to contribute to a traditional IRA, the person who takes out the IRA or their spouse must have taxable income from specific sources. Income can come from a salary, wages, self-employment income, tips, commissions, or bonuses. Also included are taxable alimony and maintenance payments that the owner of the IRA received during the tax year. Income that does qualify includes deferred compensation, rental property income, pension or annuity compensation, and dividend and interest income. Contributions to an IRA can be made up till the tax filing date. You can contribute for the applicable tax year (the previous year) until April 15. Funds withdrawn from an IRA are taxable the same year they are withdrawn. Withdrawals of only deductible contributions are fully taxable. Early withdrawal may be taxable. Owners of traditional IRAs who withdraw monies before they are 59-1/2 years old may have to pay an additional ten percent tax. Late withdrawal may be taxable. Owners of traditional IRAs who do not withdraw the minimum amount after they turn 70-1/2 may owe an excise tax. Contact the First Financial’s Investment and Retirement Center to set up a no-cost consultation at 732.312.1500 or visit our website for more information. If you’re a conservative investor, you may be wondering what fixed-rate alternatives you have to certificates of deposit. Have you ever looked at fixed annuities? Specifically, fixed “CD type” annuities? Right now, they look a lot better than CDs do. Yes, CDs are FDIC-insured. But fixed annuities come with a guarantee as well, and often a better rate of return – plus the opportunity for tax-deferred growth and compounding. But you have an alternative. With five- and ten-year terms, these annuities are particularly appealing to people in their fifties who are seeking a conservative retirement savings vehicle. Learn more. If you think of yourself as a risk-averse investor, you might want to examine the range of options in fixed “CD style” annuities. Before you make a decision, make sure you talk to a qualified insurance agent or financial advisor who can explain the terms and conditions of these annuity contracts. If you would like to set up a no-cost consultation with the Investment & Retirement Center located at First Financial, contact them at 732.312.1500 or visit our website for more information. Representatives are registered, securities are sold, and investment advisory services offered through CUNA Brokerage Services, Inc. (CBSI), member FINRA/SIPC, a registered broker/dealer and investment advisor, 2000 Heritage Way, Waverly, Iowa 50677, toll-free 800-369-2862. Nondeposit investment and insurance products are not federally insured, involve investment risk, may lose value and are not obligations of or guaranteed by the financial institution. CBSI is under contract with the financial institution, through the financial services program, to make securities available to members.